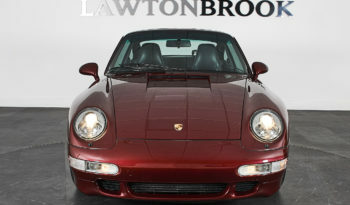 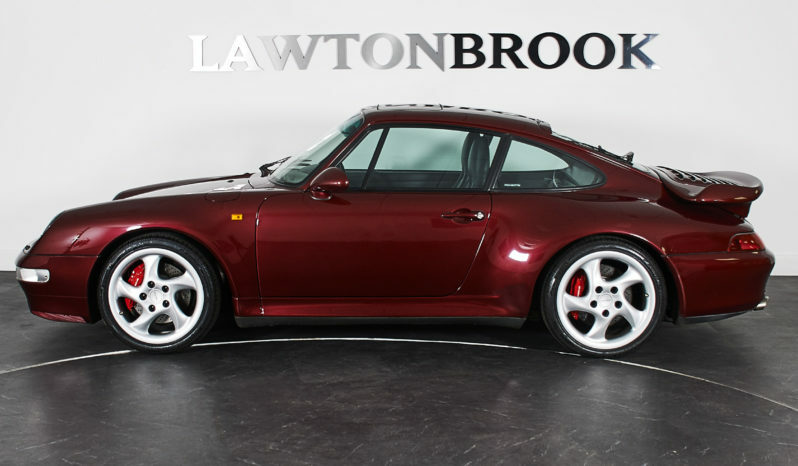 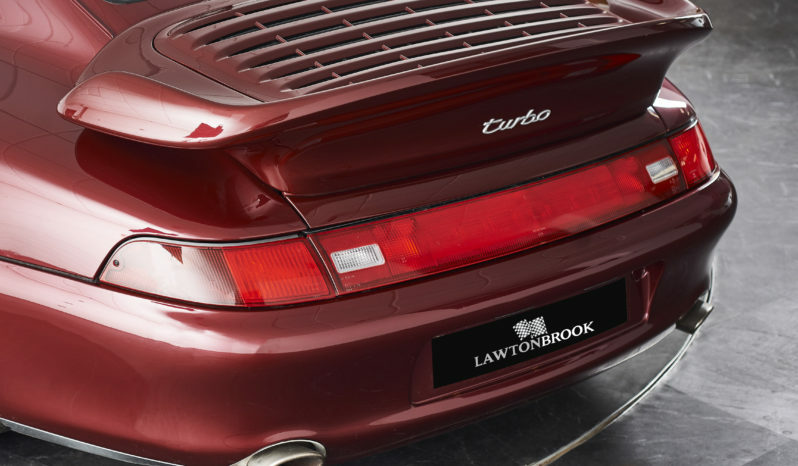 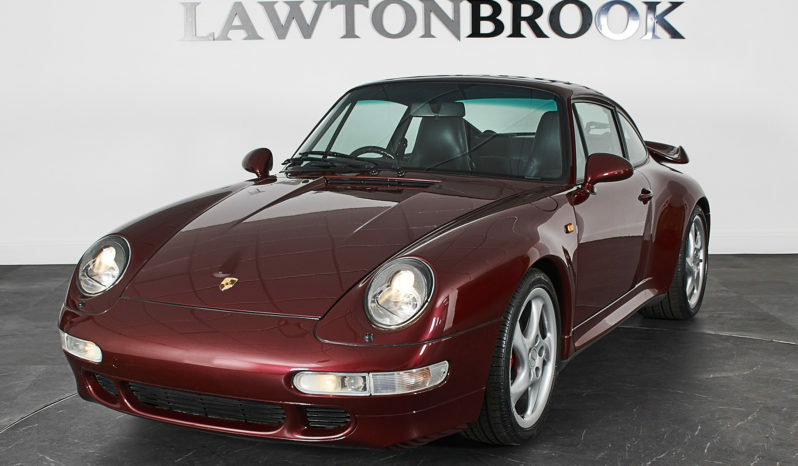 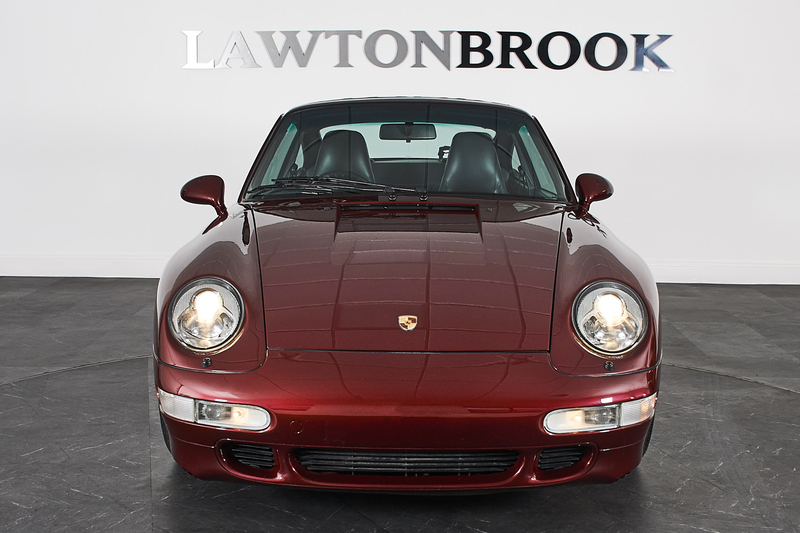 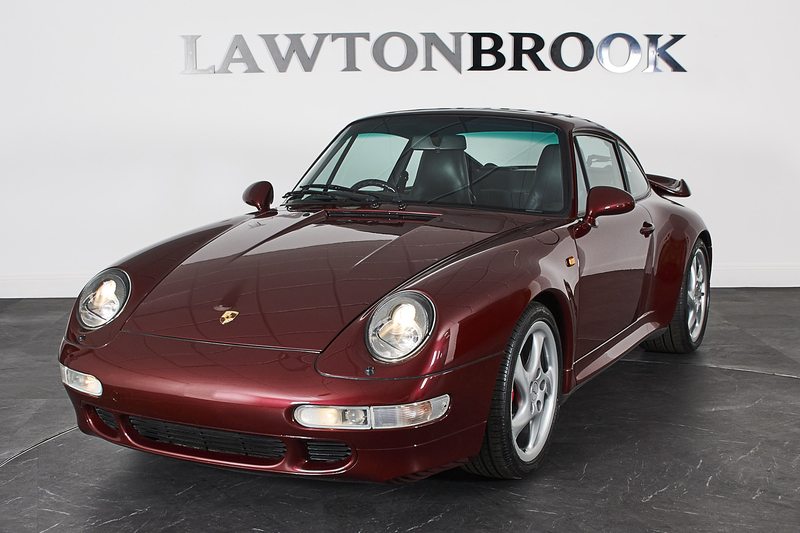 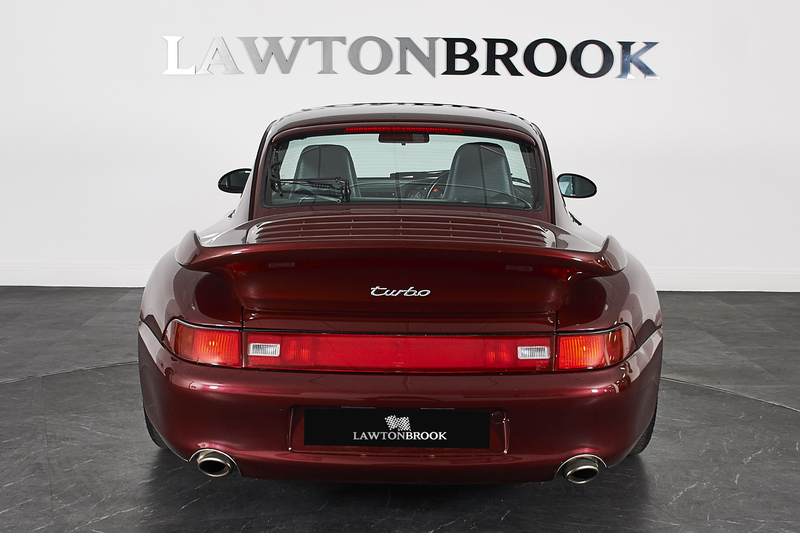 Lawton Brook are delighted to offer to market our superb Porsche 911 993 Turbo coupe.Presented in “time warp” condition, our vehicle will withstand any level of scrutiny. 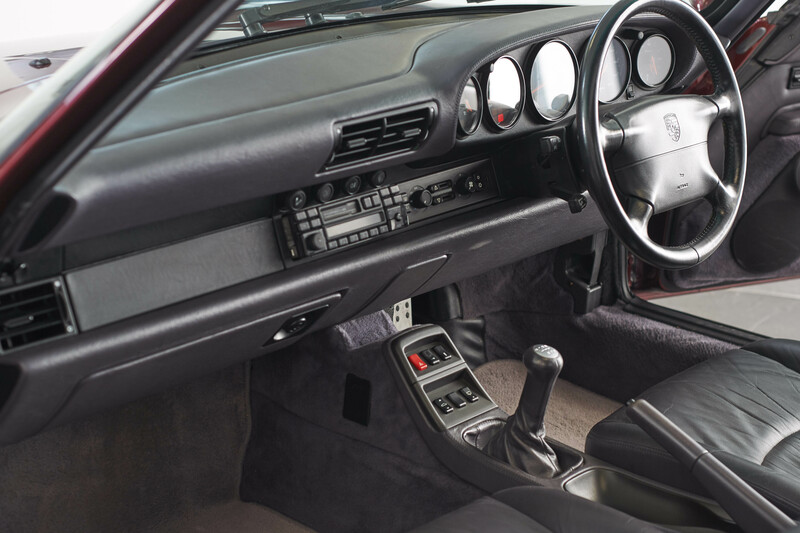 This is a vehicle that has obviously been lavished with care and attention from new. 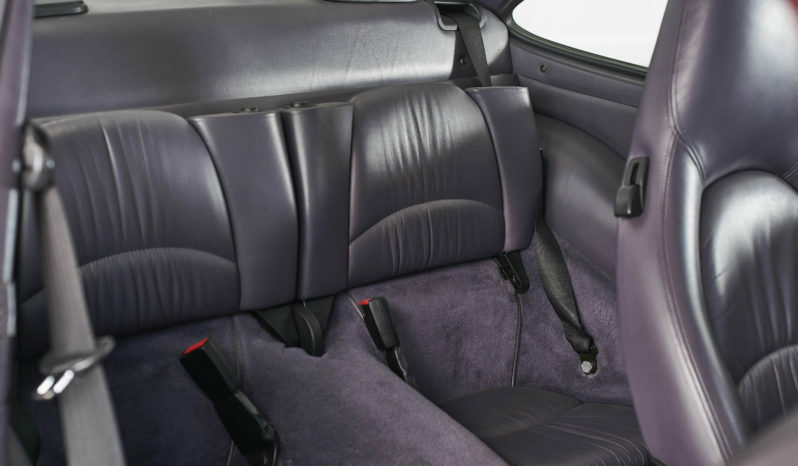 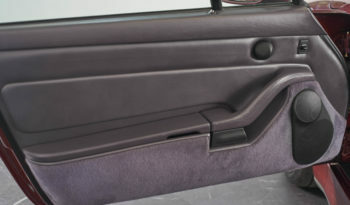 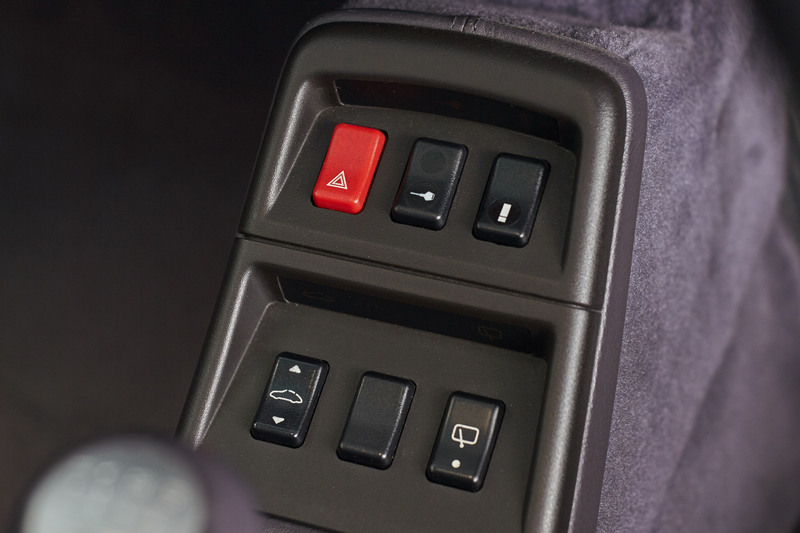 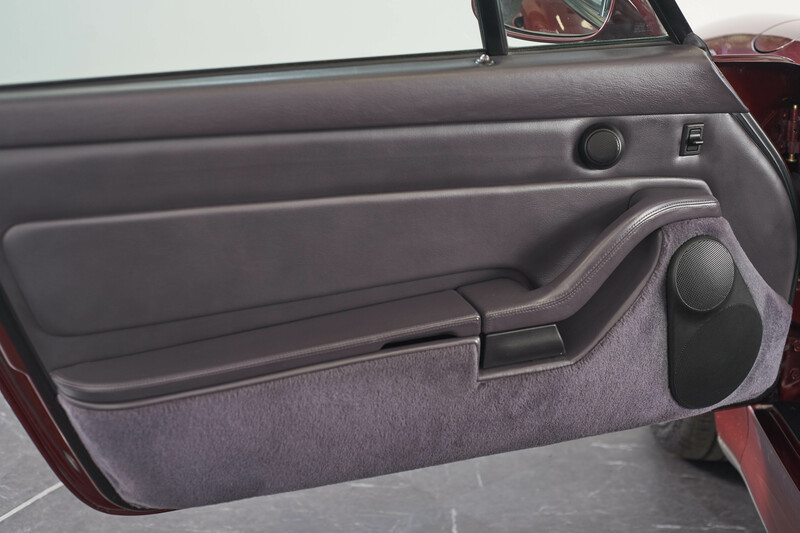 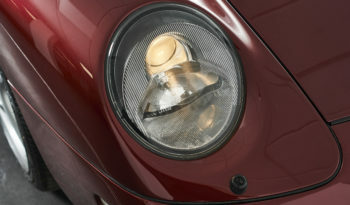 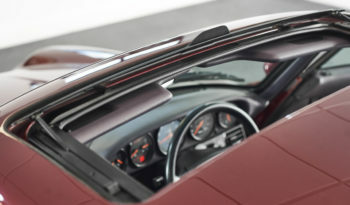 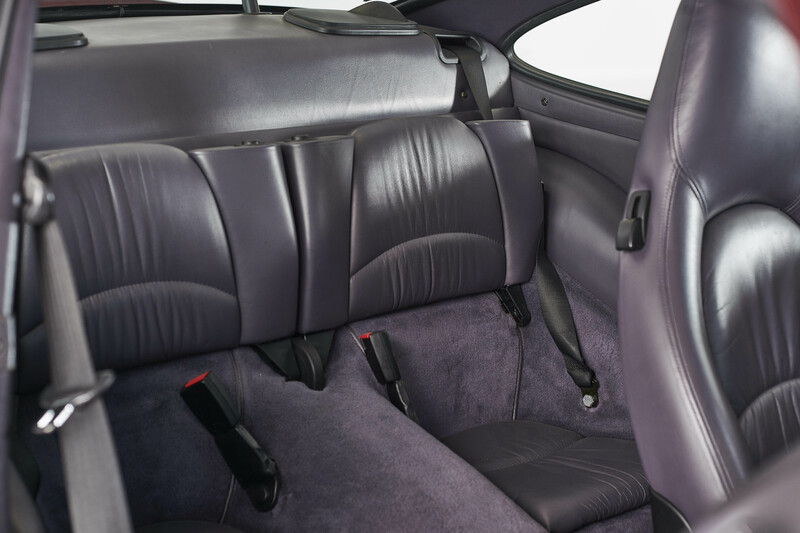 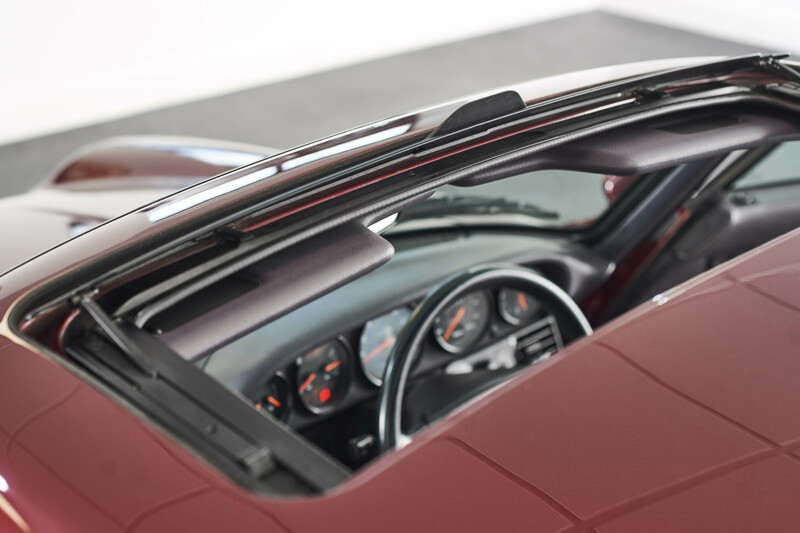 It presents superbly in the classic combination of Arena Red Metallic and Rubicon Natural Ruffled leather interior. 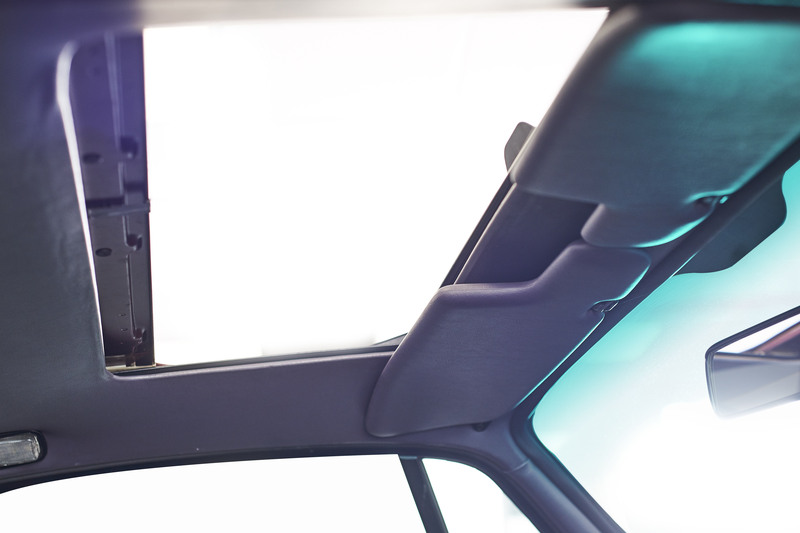 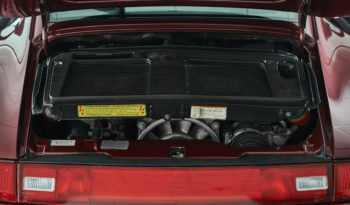 Underneath, the car is the very best we have seen. 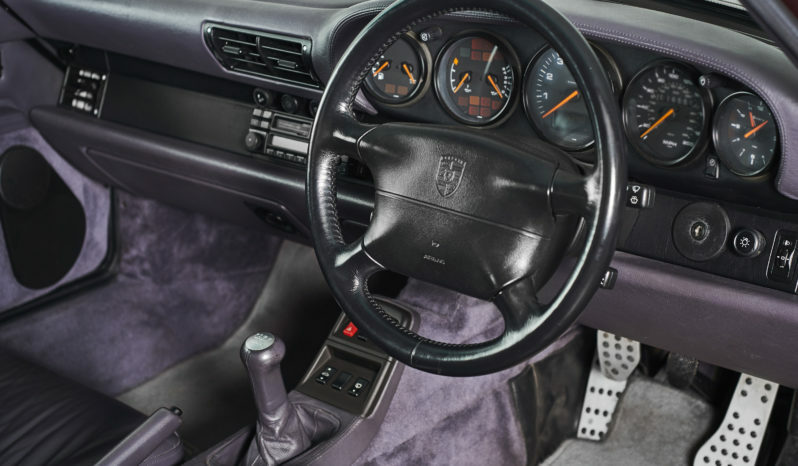 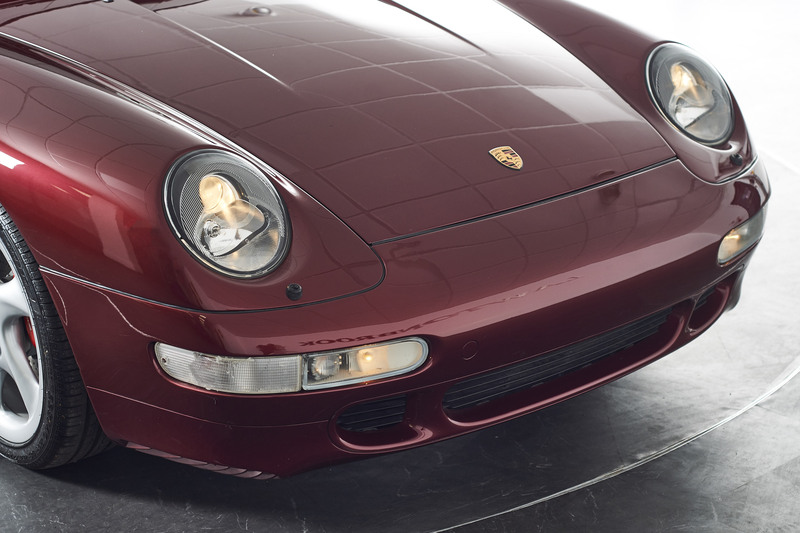 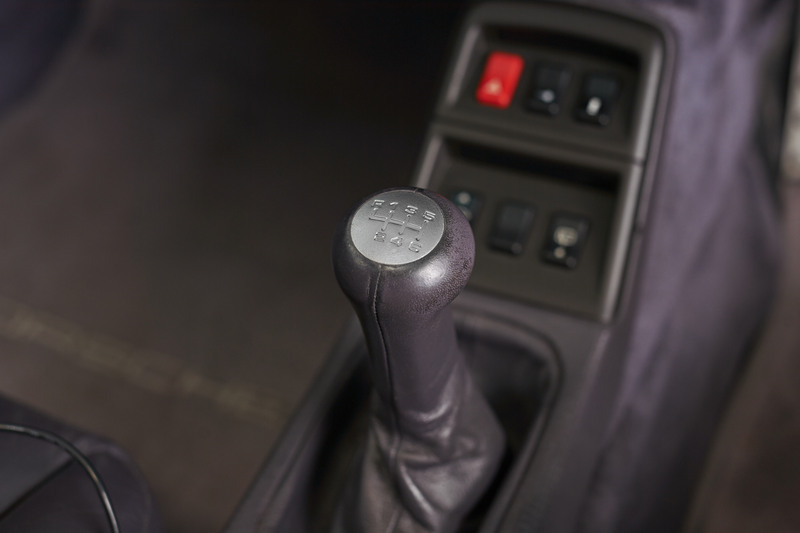 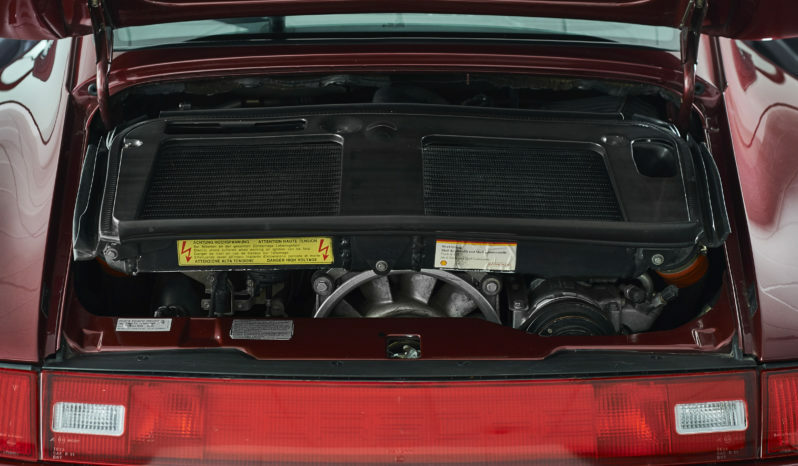 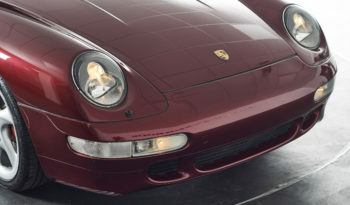 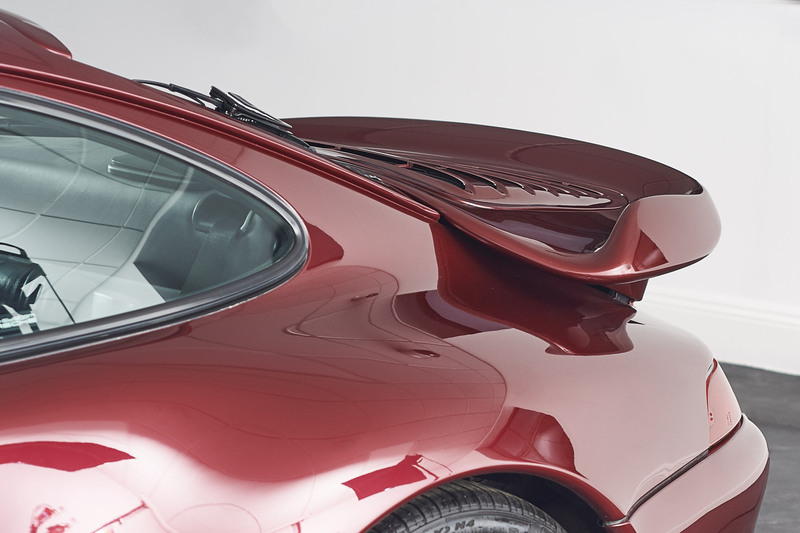 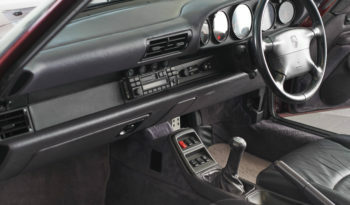 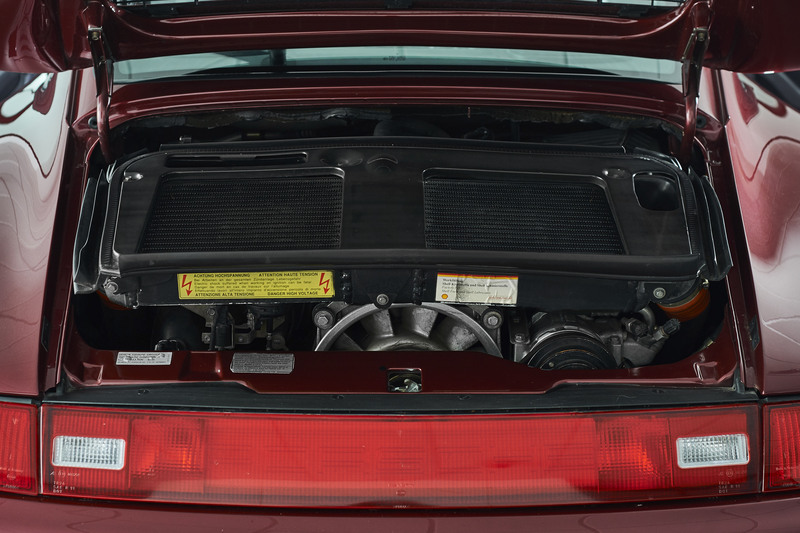 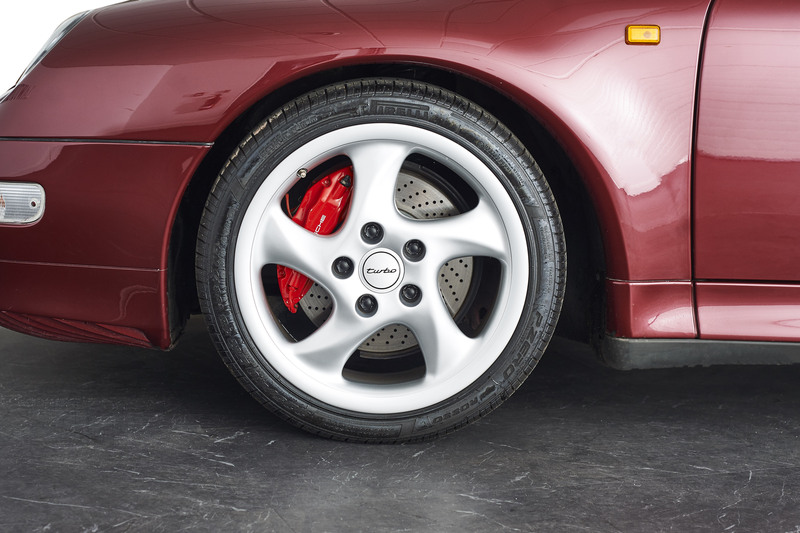 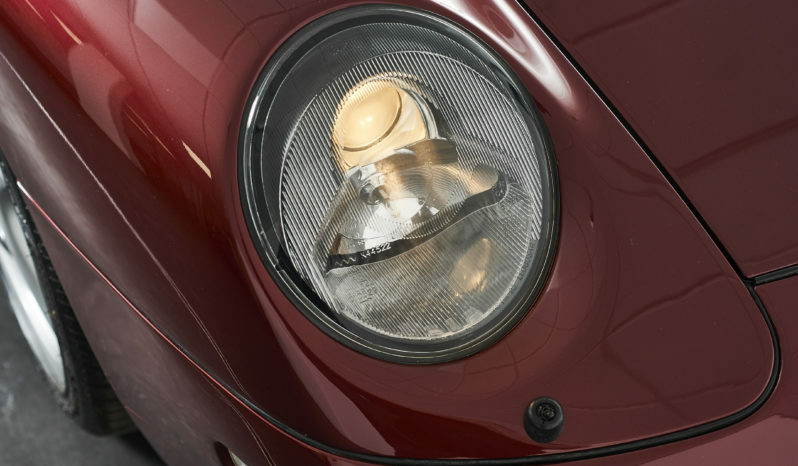 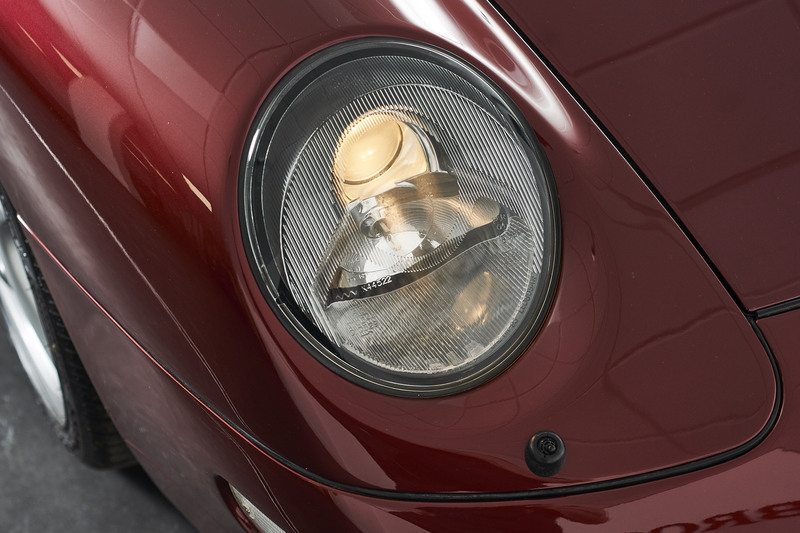 This has been part of a Porsche collection where only the very best will do.When the 993 Turbo was launched, worldwide supply was hugely limited. 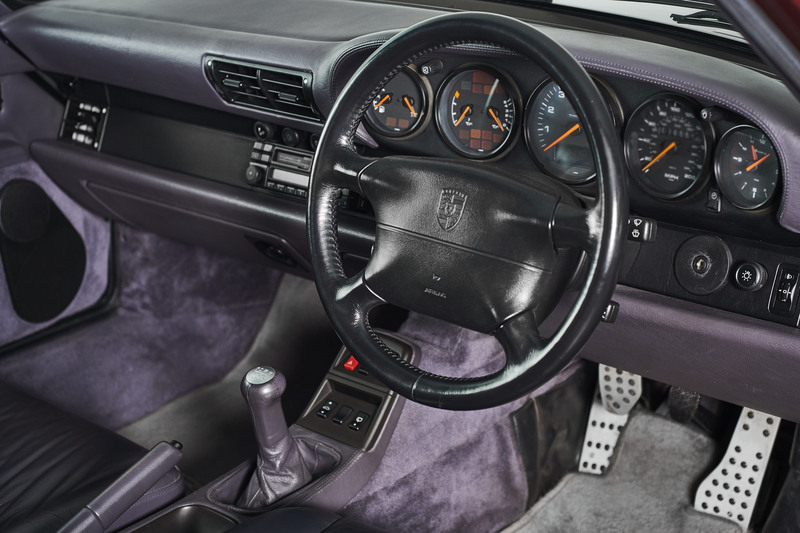 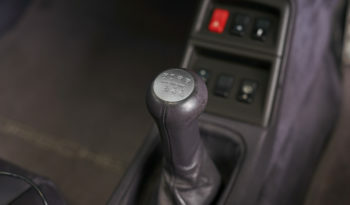 Vehicles were sent all over the world and built to individual specs at the same factory at Zuffenhausen, Stuttgart. 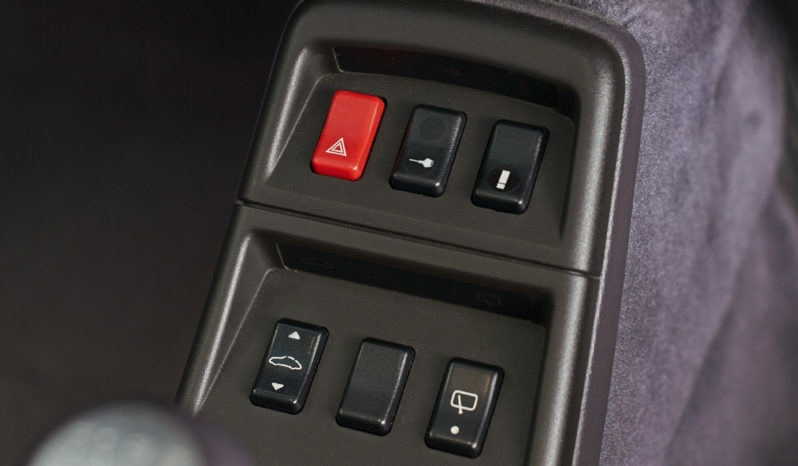 Our example was originally a right hand drive C26 (South Africa) market vehicle; the benefit is that this has been a warm climate car and doesn’t suffer from any of the usual corrosion issues associated with cars of similar vintage. 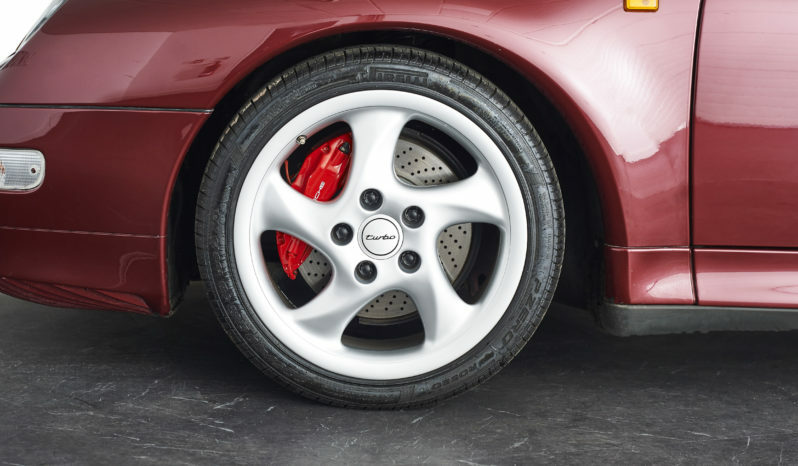 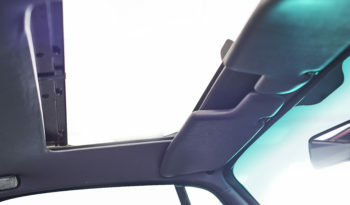 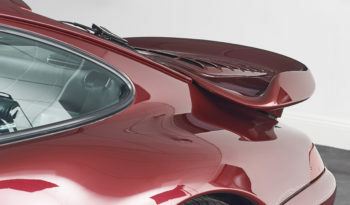 It was hand-picked and brought into the UK in 2015 by respected brand specialists Hexagon of London, when it was issued with it’s Certificate of Authenticity from Porsche Cars Great Britain.Our example has 18″ Turbo design alloys with red brake calipers, xenon headlights with wash, rear wiper, fixed rear spoiler, electric sunroof, soft ruffled electric leather front seats and air conditioning. 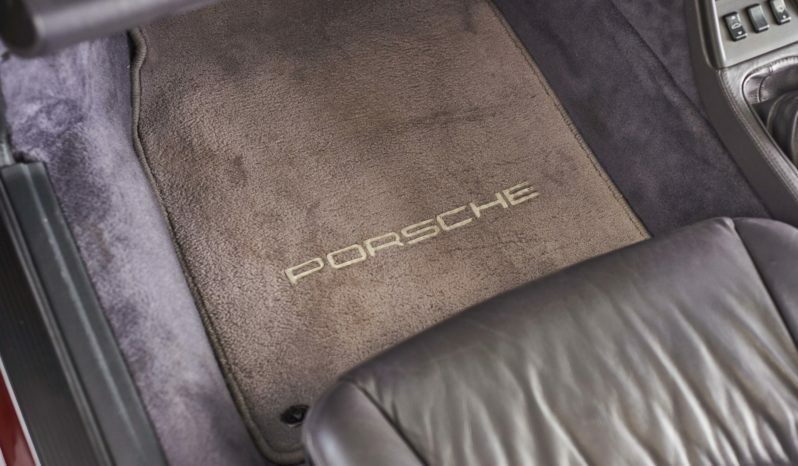 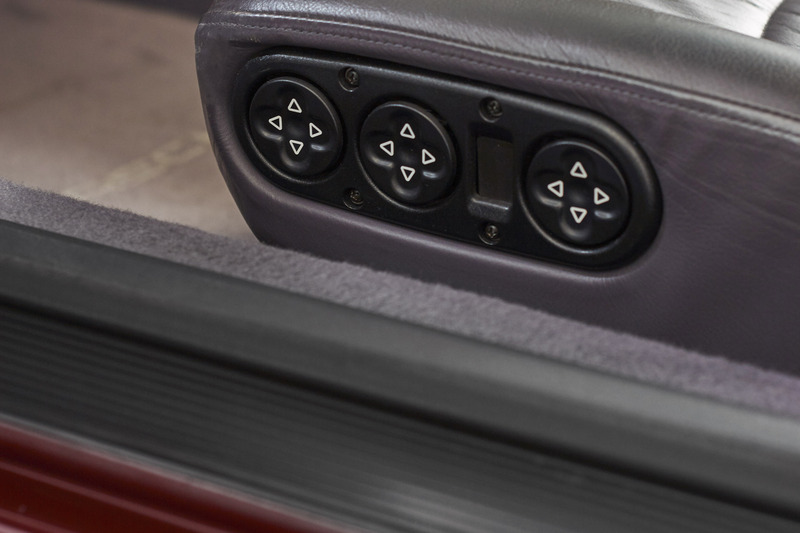 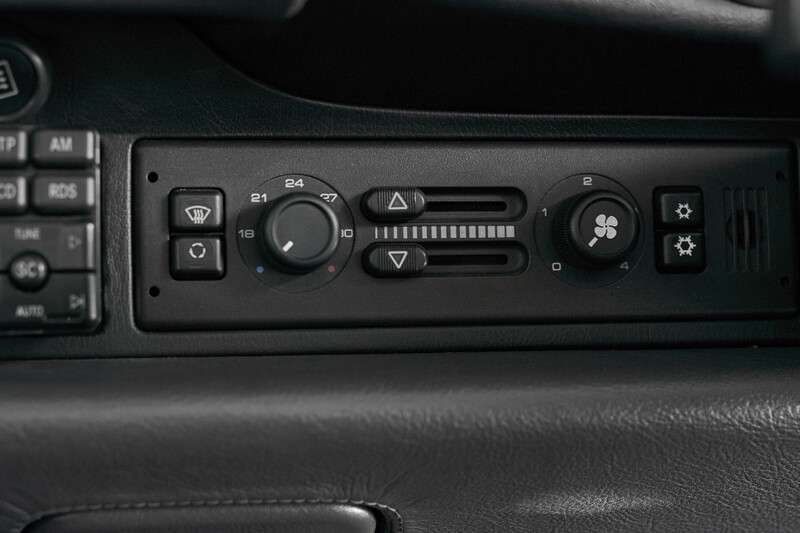 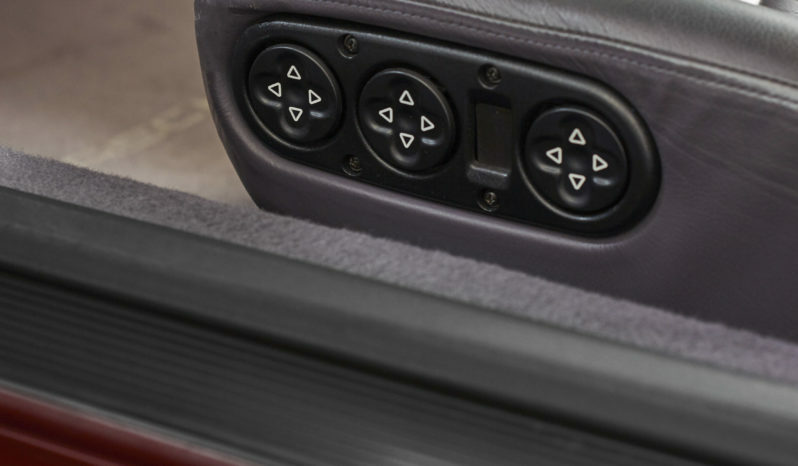 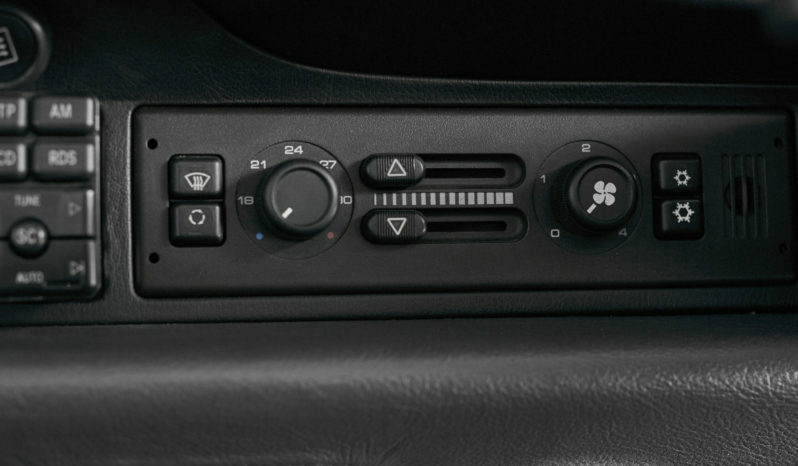 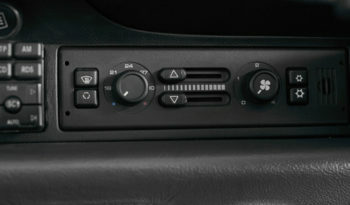 The original six disc CD changer is present as is the onboard computer, cruise control and electric door mirrors.Our vehicle boasts a superb service history and was recently inspected and serviced at Porsche Centre Swindon. 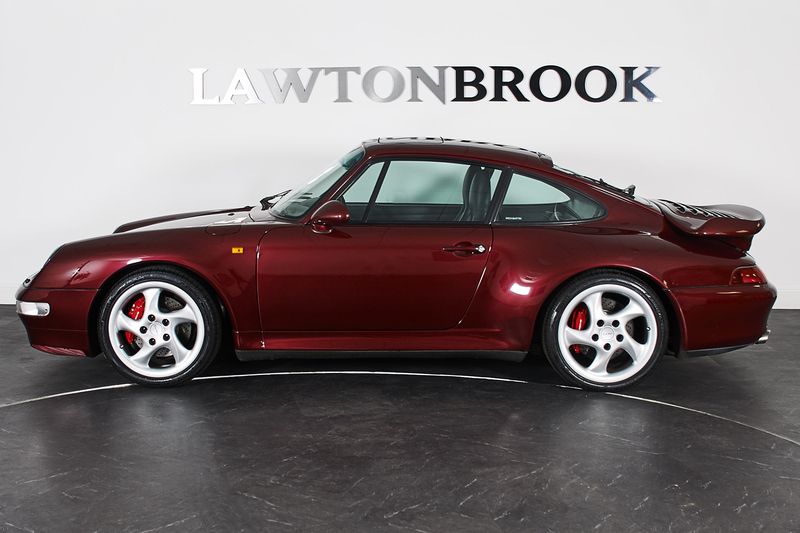 A superlative example throughout and a worthy addition to any serious collection or a fantastic vehicle for high days and holidays. 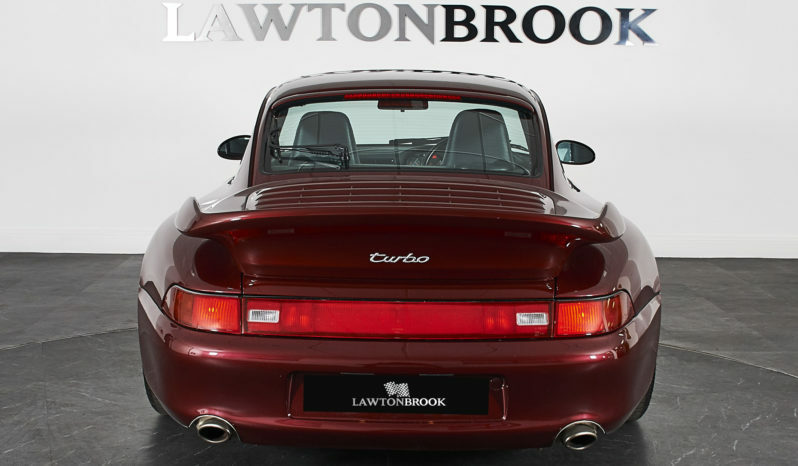 A slice of automotive history with values only going one way.One for the discerning client. 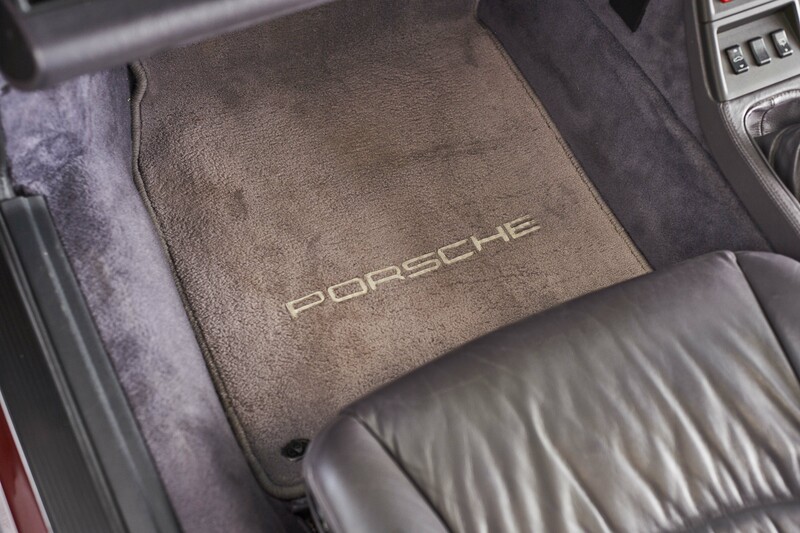 The very best.